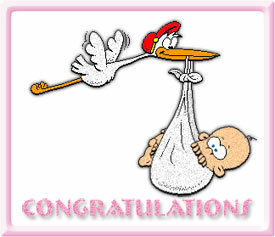 Congratulations on the birth of your baby girl, baby boy, graduation, marriage and all other events. 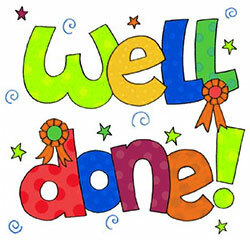 Page includes congratulations clipart, glitter graphics and congratulations animations. Congratulations with a smiling sun. Congrats animation in blue with a heart. Congratulations and Well Done in vibrant colors with animation. Congrats on your graduation with glitter animation. Congratulations with flowers and animation. Happy graduate with diploma in hand animation. Congrats with a big smile (or smiley). 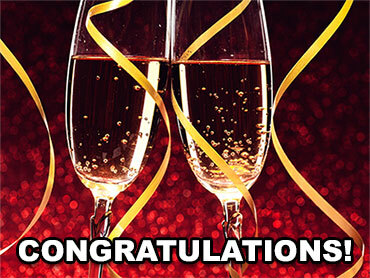 Congratulations with full champagne glasses and streamers. 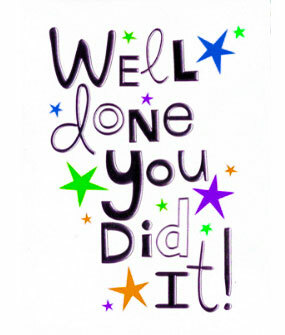 Well Done You Did It! 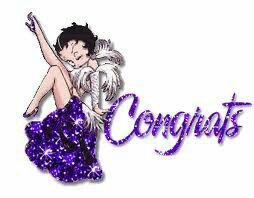 Congratulations in purple and black with lights.